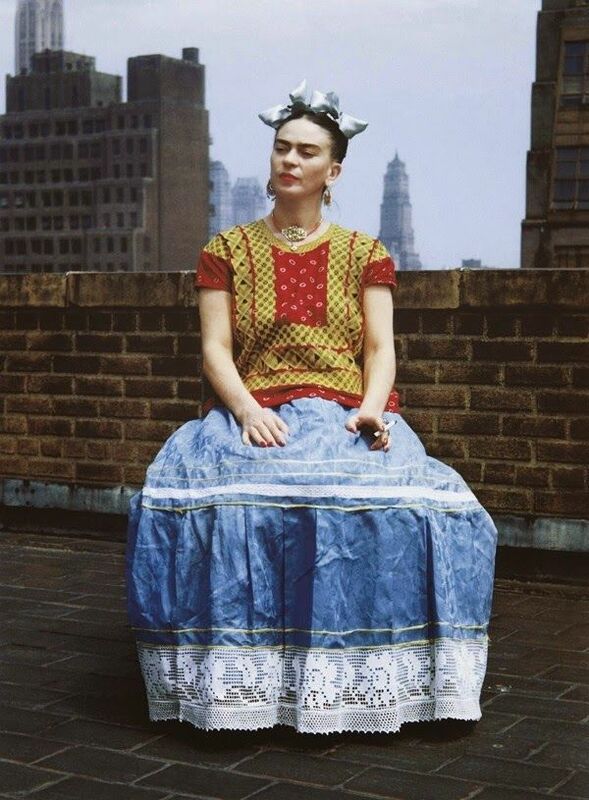 Very few 20th century artists have influenced both art and fashion the way that Frida Kahlo has. 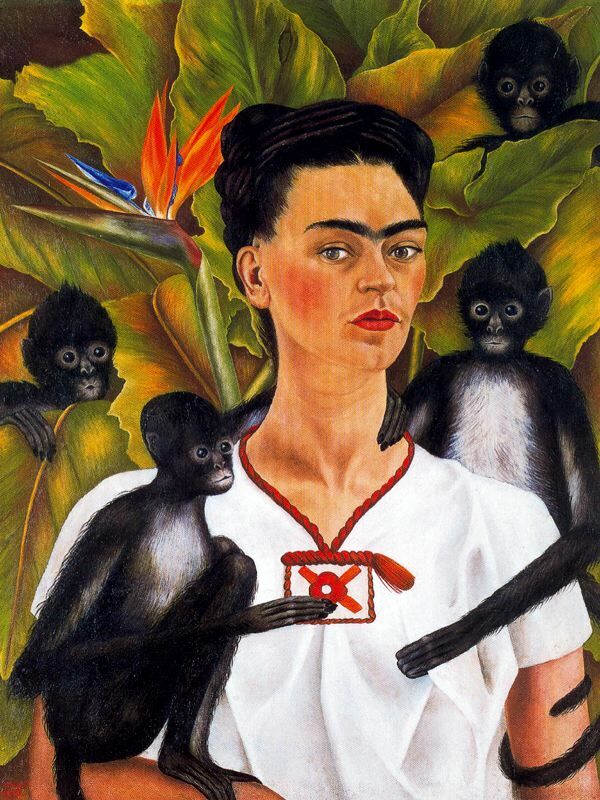 The daughter of a Mexican mother and a German father, Frida was terribly disfigured in her late teens in a bus accident. The accident all but shattered her spine, followed by years of corrective surgery and bed-rest, and prevented her from ever having children. Eventually, she lost a leg. 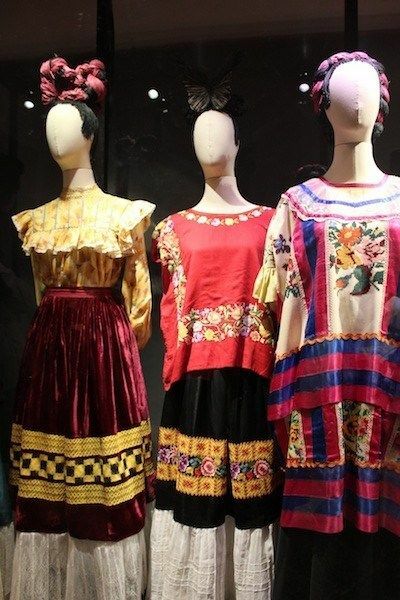 Frida’s long, traditional Mexican peasant skirts concealed the prosthetic leg underneath and those years of just laying in bed only helped Frida to craft her art. 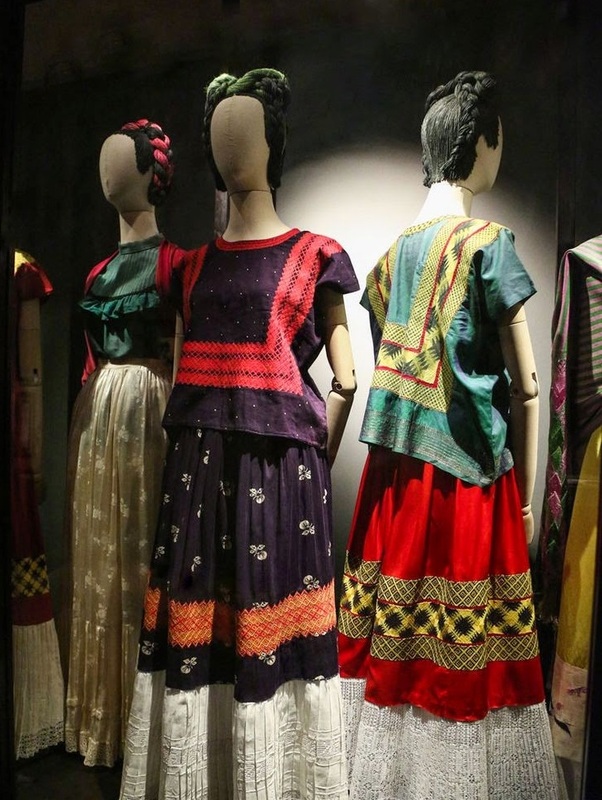 This past summer, the Frida Kahlo Museum in Mexico City premiered the exhibit Appearances Can Be Deceiving. 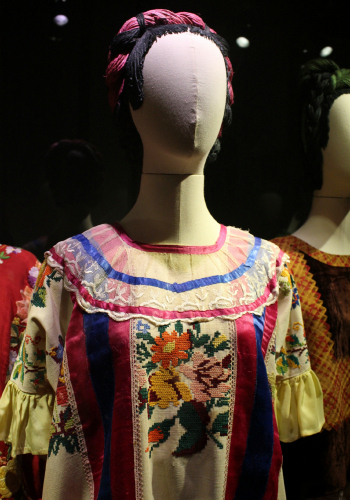 This exhibit showcases over 300 personal style items that belonged to the late artist. 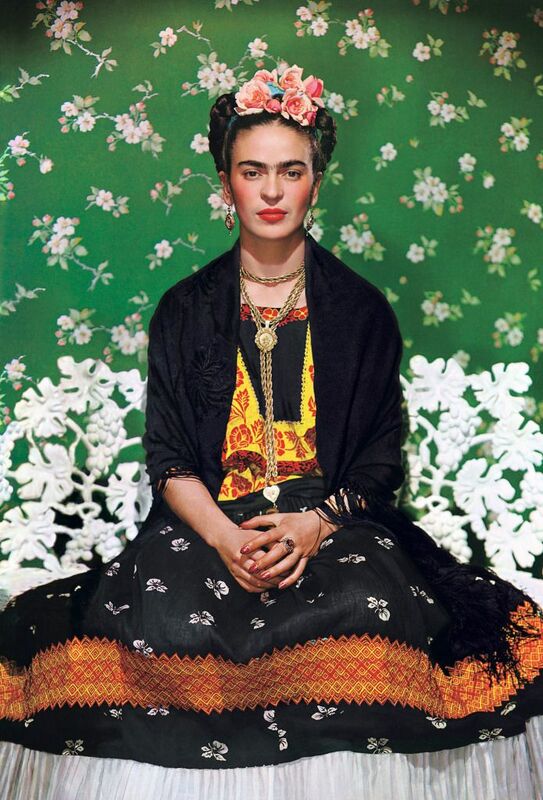 For having such a tragic, painful life she had such a joyful and flamboyant style of dressing. 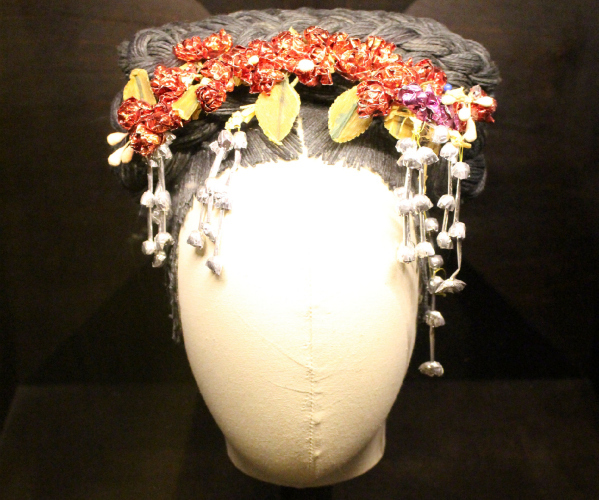 Most of these pieces have never been seen by the public before……at least, not seen in person. 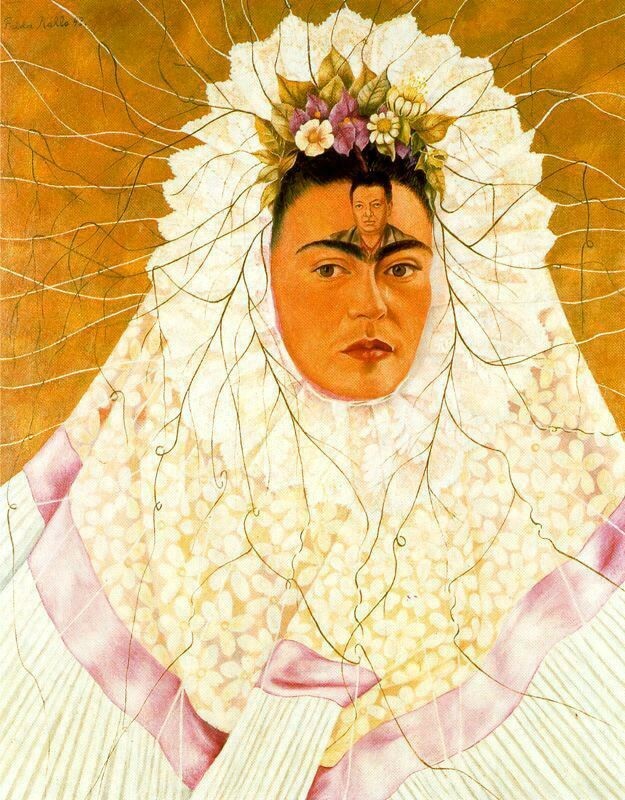 Of the 140 painting she created, 55 were self portraits. 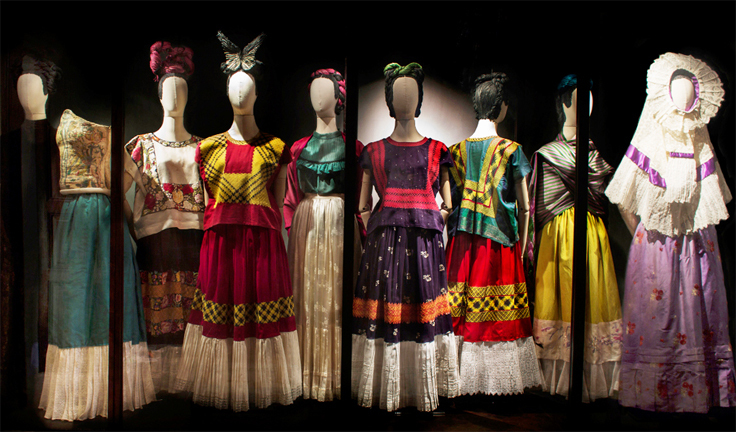 Frida’s wearing the lavender and lace dress on the far right in her painting Diego on My Mind. Here’s that lavender dress in action. And just a few more works from this amazing talent. 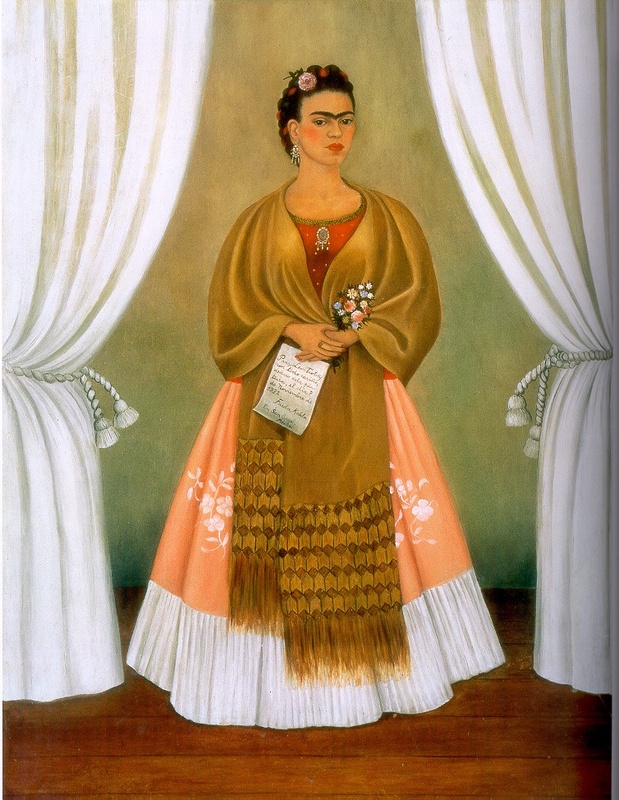 “I am the greatest painter in the world,” was her response. 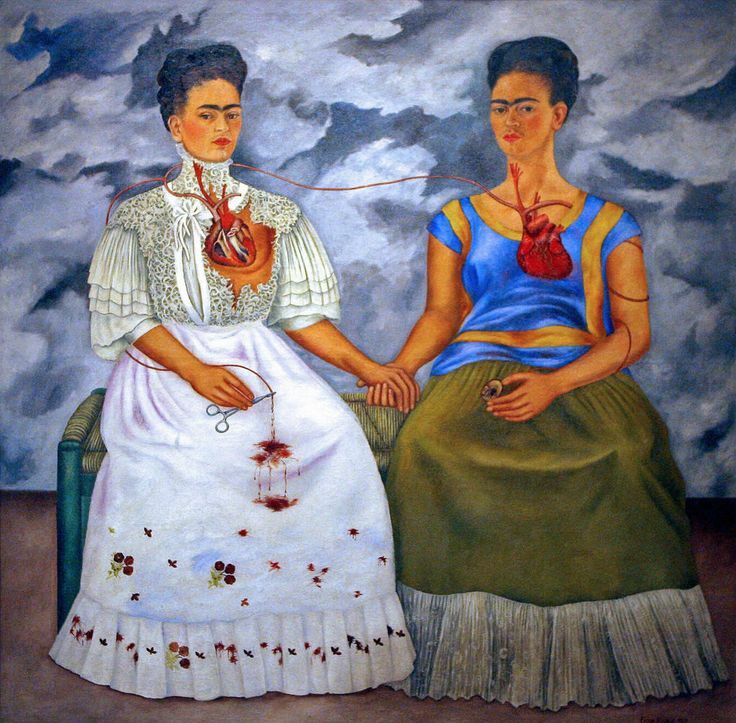 But other than the Louvre purchasing one of her works, a first for a Mexican artist, she still remained relatively unknown until about 30 years after her death when the artistic style of Mexico gained popularity. 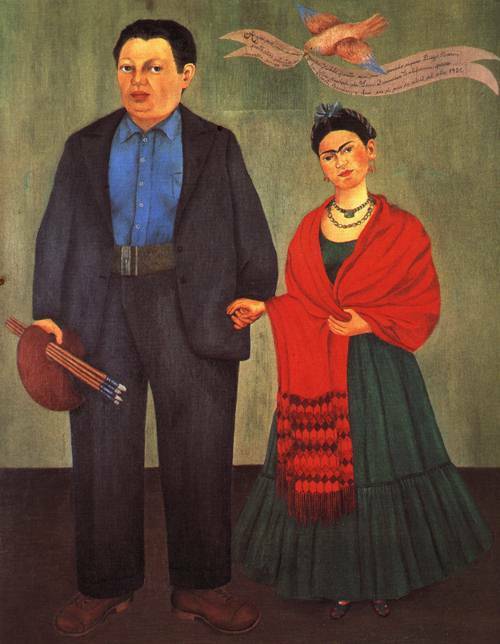 Until then, she was widely remembered simply as Diego Rivera’s wife. 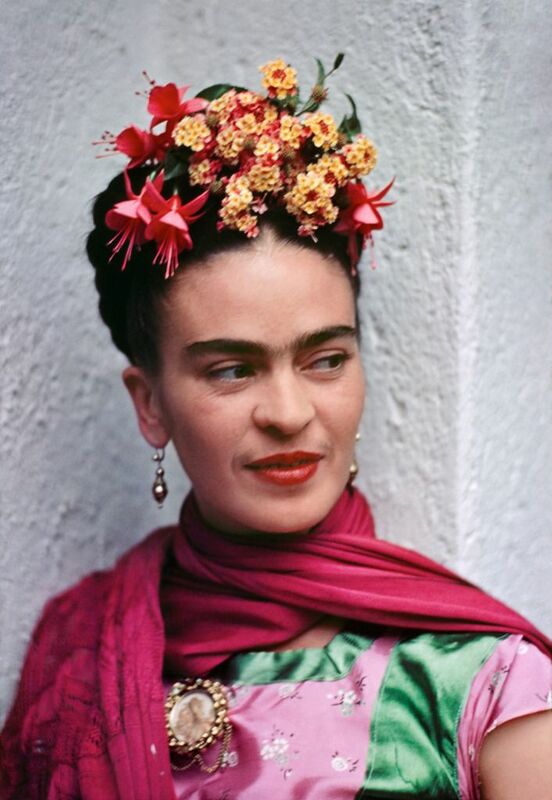 It was my dear friend Norberto who educated me on the iconic beauty of Frida Kahlo many, many years ago. 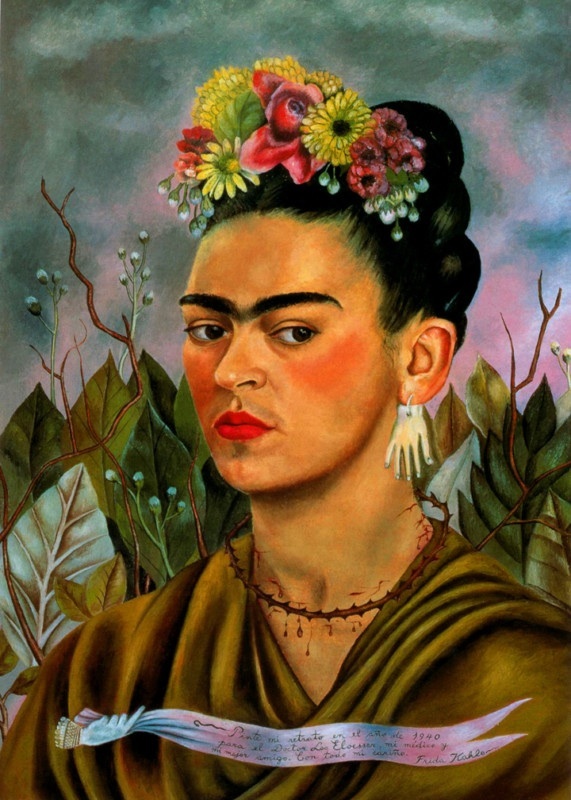 I still think of him every time I see a woman with ribbons/flowers in her hair……or a unibrow. 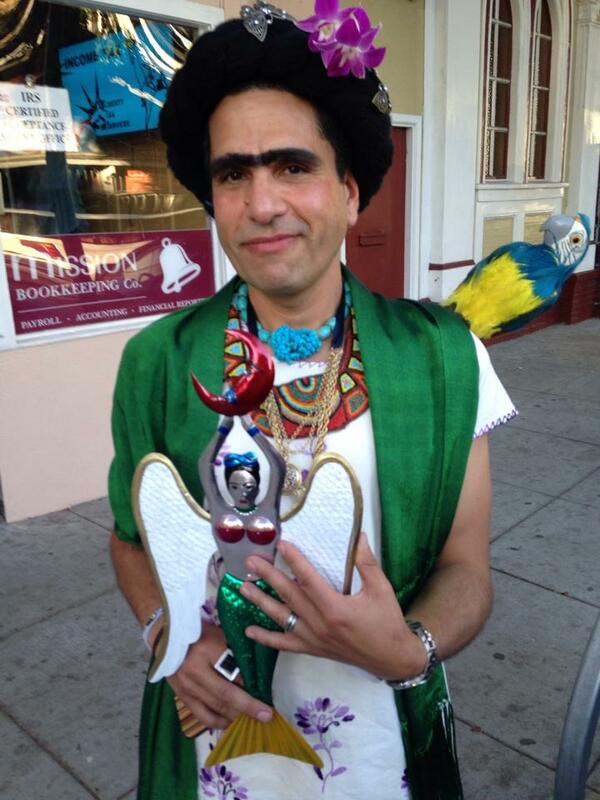 Recently, Norberto won a Frida look-a-like contest. Here he is with his prize…..
My Mexican friend gave me her cook book for my birthday one year. It is beautiful and features her recipes for fiestas. Check it out! Beautiful. 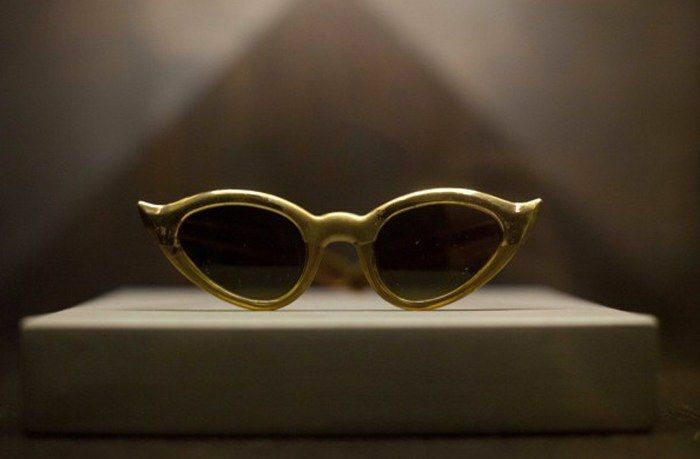 The exhibit in Mexico City of Frida’s personal treasures sounds amazing. I have taken the tour of her house in Mexico City and it’s wonderful. Thank you so much for reminding us of her and her incredible style!